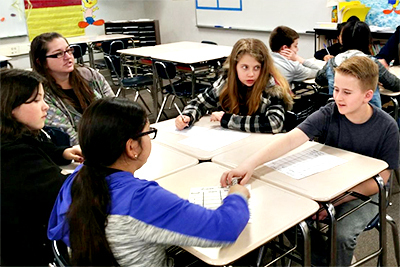 Herbert C. Green Middle School in the Mother Lode Union School District in El Dorado County announced on April 18 that our middle school had been selected by Educational Results Partnership (ERP) and the Campaign for Business and Education Excellence (CBEE). Herbert Green is one of 1,866 public schools in California to receive the title of 2016 Honor Roll School District. The Honor Roll is part of a national effort to identify higher-performing schools and highlight successful practices that improve outcomes for students. School districts receiving this distinction have demonstrated consistent high levels of student academic achievement, improvement in achievement levels over time, and reduction in achievement gaps among student populations. For school districts with high schools, the Honor Roll recognition also includes measures of college readiness. For more information about MLUSD.